Hundreds of thousands of bats are killed by wind turbines each year in North America. New technology that uses an ultrasonic acoustic field to jam bat echolocation was found to reduce bat fatalities by 54 percent at a wind energy facility in Texas. The Bat Deterrent System will be released commercially in North America this year. Tests are ongoing to maximize the system’s effectiveness for various bat species. A new system that jams bats’ echolocation with ultrasound is showing promise in reducing fatalities at wind energy facilities. 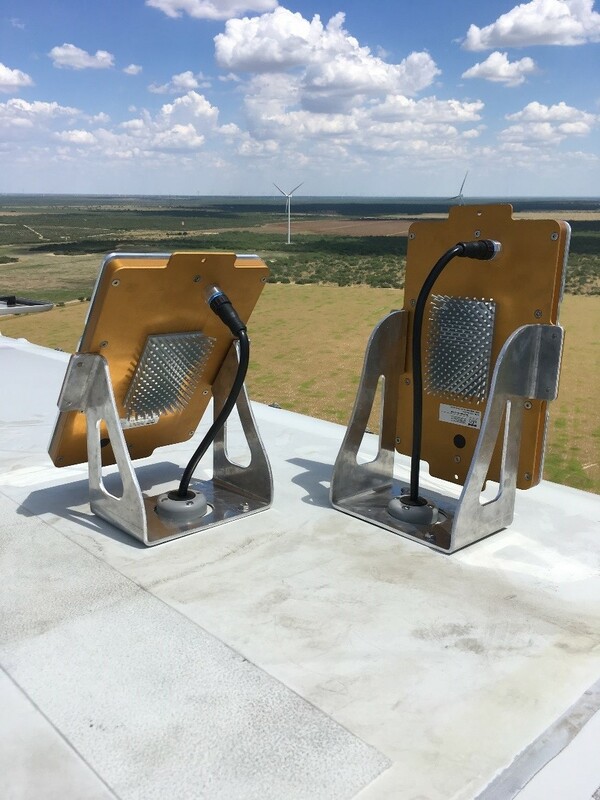 Researchers at Texas State University, in partnership with Bat Conservation International (BCI), found that the ultrasonic Bat Deterrent System developed by NRG Systems reduced overall bat fatalities at the Los Vientos Wind Energy Facility in Starr county, Texas, by 54 percent. Hoary bats (Lasiurus cinereus) like this one are long-distant migrants. Collisions with wind turbines during their annual migrations kill tens of thousands of these bats each year. Image by via Flickr (CC-BY-NC-ND 2.0). As the use of wind energy grows, so does a troubling and unanticipated side effect. Researchers estimate that hundreds of thousands of bats are killed by wind turbines each year in North America alone. In fact, wind turbines are the largest cause of mass bat mortality around the world. This is especially troubling in parts of the U.S. and Canada where the deadly fungal disease white-nose syndrome is decimating certain bat species. Researchers fear that bat populations already weakened by the fungus will not be able to withstand the additional mortality from wind turbines. It seems that bats are attracted to wind turbines, possibly viewing them as large trees on the landscape or as a foraging resource, according to Sara Weaver, a doctoral candidate at Texas State University and biology lecturer at Texas A&M University-San Antonio, who led the Los Vientos study. “Oftentimes, acoustic monitoring before construction of a wind facility may not show much bat activity, but this increases after the facility is built, as if the bats were drawn there,” Weaver says. If turbines are attracting bats, wind facility operators could focus on implementing technological innovations that deter bats from approaching. This is the logic behind NRG’s Bat Deterrent System, which is based on jamming bats’ echolocation capabilities. Wind turbines are a carbon-free source of power, but are deadly obstacles for bats and birds. 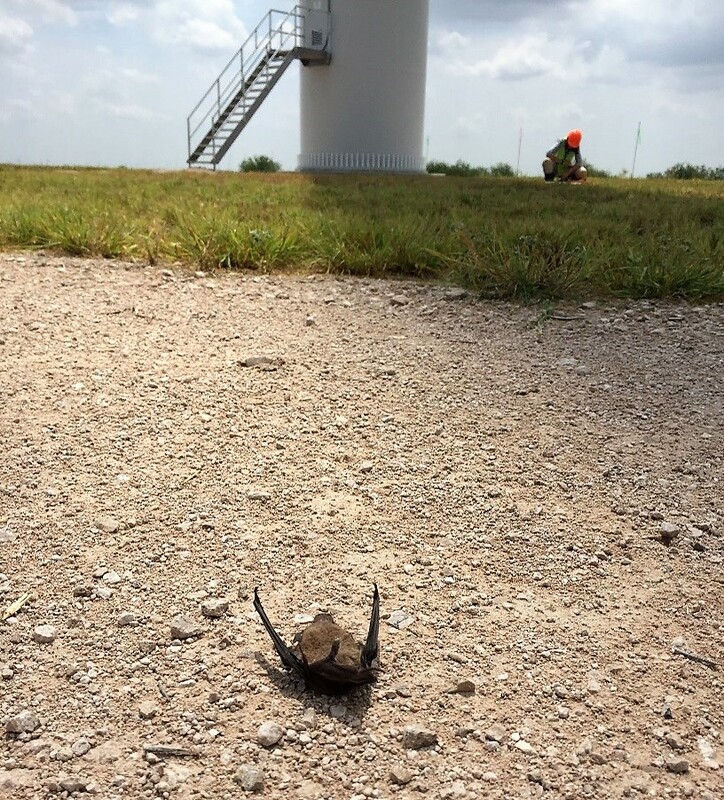 This Brazilian free-tailed bat (Tadarida brasiliensis) killed by collision with the turbine blade waits to be documented while a technician processes another fatality in the distance. Image by Sara Weaver. Bats emit high-frequency calls that bounce off objects in their path and reflect echoes. These returning echoes tell them the distance and direction of obstacles or prey, enabling bats to navigate and forage in the dark. The deterrent system uses a set of speakers to produce an ultrasonic acoustic field at a pitch of between 20 and 50 kilohertz, the same range as bats’ natural echolocation frequencies. This interferes with their ability to hear and interpret the echoes from their echolocation calls, effectively jamming the bats’ ability to orient and forage. Unable to use their usual means of navigation, the bats respond by choosing to leave that area. 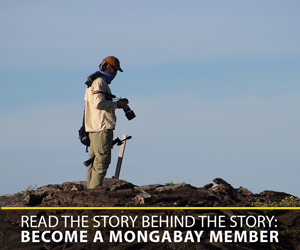 The idea is based on studies of echolocation jamming in nature. For instance, certain tiger moths produce ultrasonic clicks when attacked by bats, which appear to interfere with their echolocation. Aaron Corcoran, a research assistant professor at Wake Forest University and postdoctoral scholar at the University of North Carolina, Chapel Hill, has studied echolocation jamming in the lab and field. He says that in the lab, moth clicks interrupted bats’ normal echolocation patterns, an indicator that the clicks are likely jamming their echolocation. A wind turbine at Duke Energy’s Los Vientos facility in Texas with installed acoustic deterrents, seen at sunrise, just before the system turns off for the day. Image by Raela Wataha. BCI has researched ultrasonic acoustic bat deterrents for more than a decade and carried out initial proof-of-concept testing. BCI researchers teamed up with NRG Systems to commercialize the idea, as NRG designs and manufactures equipment for the wind industry. “With BCI’s bat expertise and NRG’s product development expertise, the deterrent concept was quickly turned into a turbine-ready system that could survive the harsh environment on the wind turbine nacelle,” says Brogan Morton, NRG’s product manager for the bat deterrent technology. 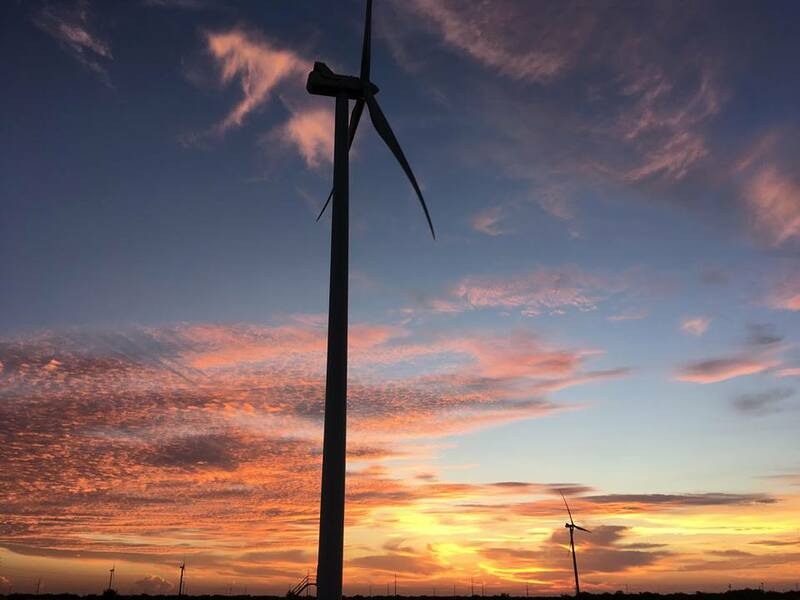 The opportunity to put the deterrent system to the test arose when Duke Energy approached BCI with concerns regarding bat fatalities at their new wind energy facility in Los Vientos, Texas. Weaver led the research effort, which involved randomly selecting 16 of the facility’s 255 turbines and retrofitting them with deterrent systems. Two installed acoustic deterrents on top of a wind turbine nacelle at Duke Energy’s Los Vientos facility. Image by Will Ramirez. Data collected over two years showed that the technology curbed bat fatalities by 54 percent. 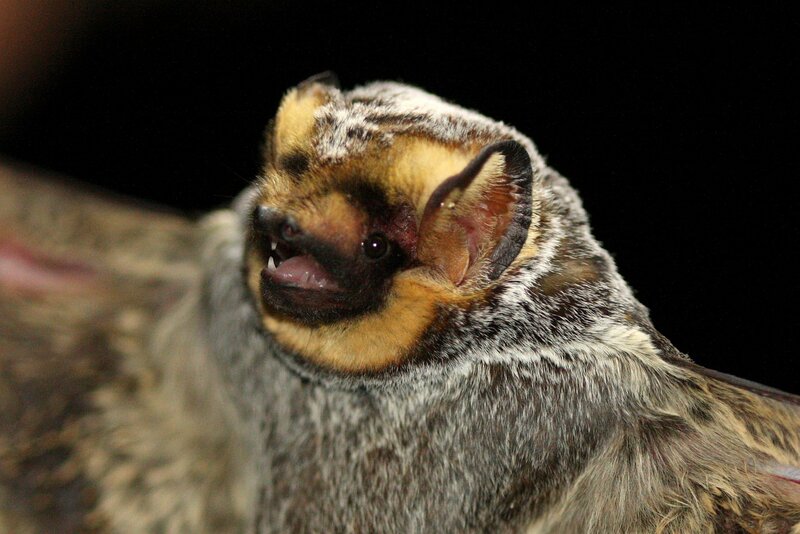 The results were particularly positive for Brazilian free-tailed bats (Tadarida brasiliensis) and hoary bats (Lasiurus cinereus). Morton says there is no risk of disorientation or harm to the bats, as they leave an area when they hear loud levels of ultrasonic noise. There is also no evidence that birds can hear frequencies this high, and ultrasound attenuates to very low levels by the time it reaches the ground, so the deterrent system should not have any effect on wildlife besides bats. Plus, there is no risk of the bats habituating to the noise because it interferes with their ability to orient and forage. “Because bats rely so heavily on echolocation, they know to avoid any area that compromises this capability,” Morton says. Results of a pond test of NRG’s bat deterrent systems. The deterrents were turned on for 5 minutes and then off for 5 minutes multiple times. The green dots on the left shows the bats’ flight paths when the deterrents were off, while the red dots on the right shows their flight paths when the deterrents were on. There was a significant reduction in bat activity at this site when the deterrents were on. Image courtesy of NRG Systems, Inc.
Weaver says she agrees that the rapid attenuation of sound at higher frequencies has been an issue. 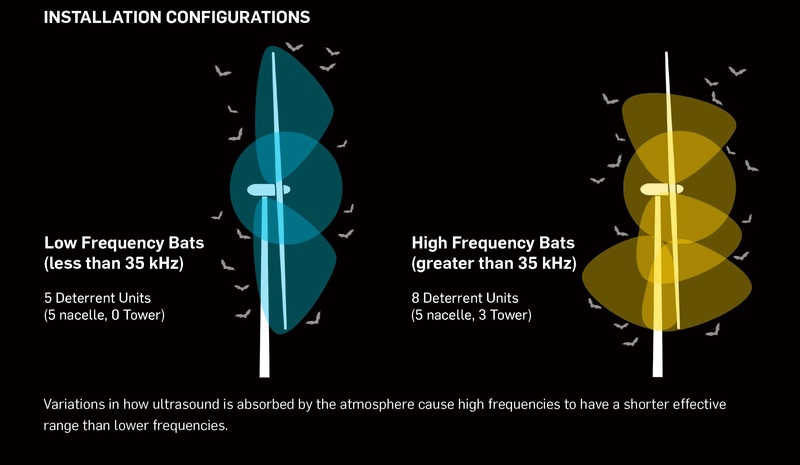 An illustration showing different configurations of the Bat Deterrent System on a wind turbine, depending on the frequencies of the echolocation pulses emitted by bats in the area. Image courtesy of NRG Systems, Inc.
Weaver and her colleagues did not see an effect of the bat deterrent for another species, the northern yellow bat (Lasiurus intermedius). NRG is commencing sales of its Bat Deterrent System this year to operational wind plants in North America. Brazilian free-tailed bats emerging en masse from Carlsbad Caverns, Carlsbad Caverns National Park, New Mexico. Image by Nick Hristov, U.S. National Park Service. Corcoran, A. J., Barber, J. R., & Conner, W. E. (2009). Tiger moth jams bat sonar. Science 325(5938): 325-327. DOI: 10.1126/science.1174096. Cryan, P. M. & Barclay, R. M. R. (2009). Causes of bat fatalities at wind turbines: Hypotheses and predictions. Journal of Mammalogy 90(6): 1330-1340. DOI: 10.1644/09-MAMM-S-076R1.1. Foo, C. F., Bennett, V. J., Hale, A. M., Korstian, J. M., Schildt, A. J., & Williams, D. A. (2017). Increasing evidence that bats actively forage at wind turbines. PeerJ 5:e3985 https://doi.org/10.7717/peerj.3985. O’Shea, T. J., Cryan, P. M., Hayman, D. T. S., Plowright, R. K., & Streiker, D. G. (2016). Multiple mortality events in bats: A global review. Mammal Review 46(3): 175-190. DOI: 10.1111/mam.12064. Smallwood, K. S. (2013). Comparing bird and bat fatality-rate estimates among North American wind-energy projects. Wildlife Society Bulletin 37(1): 19-33. DOI: 10.1002/wsb.260.